This week for Retro Game Friday I’m covering a game I’m shocked I never covered before. 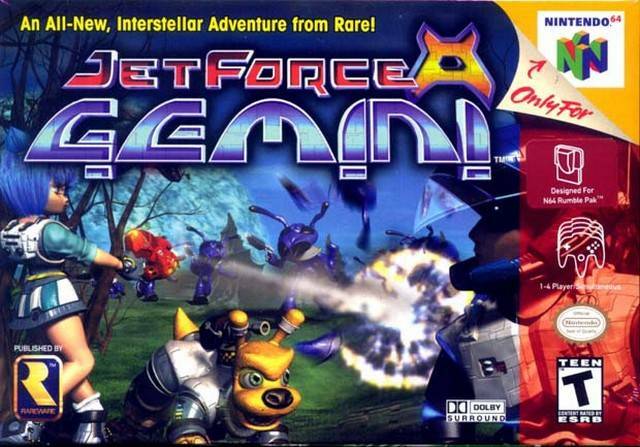 It’s Jet Force Gemini! Plot Synopsis: Jet Force Gemini begins with the three heroes, Juno, Vela and Lupus in orbit around the planet Goldwood after barely escaping the destruction of the entire Jet Force fleet at the hands of Mizar, who has been capturing and enslaving a race of survivors known as the Tribals. When they are attacked by several drones, the three decide to abandon their ship and go off on their own separate paths to stop the invasion. Plot: The plot is okay, not amazing, but it’s better than Destiny’s non existent story. Gameplay: The three heroes all play slightly differently, but there are some things that are the same like the targeting and general movement. However Juno can walk through lava, Vela can swim indefinitely and Lupus can hover for a short period of time. The gameplay itself is actually pretty good, however the fact that you have to rescue every Tribal to beat the story is more than a bit annoying, especially since you can accidentally kill them with friendly fire. Or on purpose if you’re just in a mood for destruction and mayhem. The game also has local co-op where the second player can play as Floyd, a robotic drone that hovers above the characters and can open fire on enemies. The multiplayer was okay, but really not that amazing compared to now a days. Art: The art has definitely aged poorly, but it was pretty freaking awesome back when it released. Overall: If you get the chance to play this, give it a whirl it’s pretty fun. That being said it does require a lot of effort to actually finish the story which is more than a bit frustrating. For those who like: Sci-Fi, Third Person Shooters, Action, Adventure, Drama, Decent Plot, Great Gameplay. For this week’s Video Game Tuesday I’m going to be talking about having fun. It’s all about exploiting the bugs for amusement/gain. 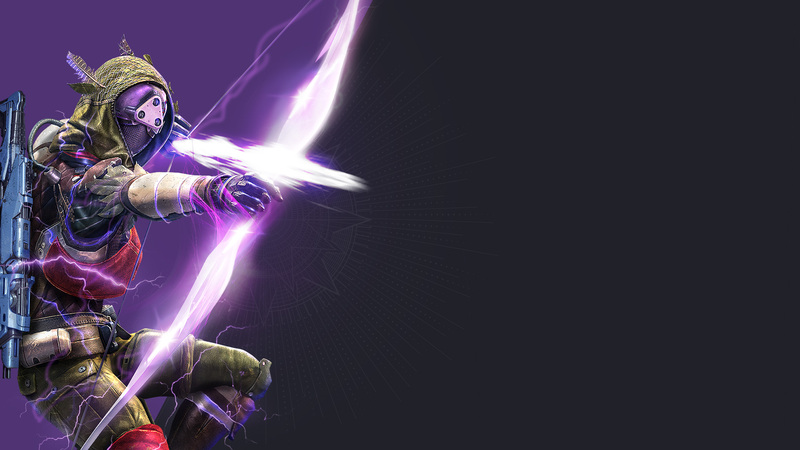 For the past week I’ve been reviewing Destiny: The Taken King, and while I’ve got the review submitted and it should be up by the time this post runs I’ve also been exploiting Bungie’s mistake for my own gain. Normally I would never ever condone this, but given my history with Destiny’s RNG system and the fact that DeeJ, the Community Manager for Bungie said to “enjoy it while you can” so I did. What is this exploit? : Xur came for his weekly trip with a new consumable item called Three of Coins. It allows an Ultra, read named, enemy to possibly drop an exotic engram. If it doesn’t drop the next time you use one of the items again and kill an ultra it has a better chance. This repeats until one drops. The old Scourge of Winter mission allows you to respawn right before the boss of the level allowing you to bring him down far enough to kill with a single rocket and you’d run up to him and shoot at point blank range in order to die and restart at the checkpoint. If he dropped an engram it would stay on the ground. Why did you take advantage of it? : Because I know they are going to nerf this item to the ground, and I might as well get as much use out of it while I can. I spent every single strange coin I had on buying the items and farmed that mission for a few hours. About 130 items later I came out with a Hawkmoon, Zahalo and Hereafter as well as 20 other Engrams I haven’t decoded yet. I’m saving them for the off chance I actually care enough about the game to bother with getting to the next Light Level tier and have them boosted to the maximum values upon decode. Why is this fun? : Because it’s taking a system and breaking it by using the rules against the developers intended choice. Also because I like to stick it to Bungie for all the crap they put me and other’s through since launch day of Destiny last year. Am I spiteful because I did this? : I don’t think so, at least not overly spiteful. I missed the Loot Cave last year, which was arguably the best unintended player interaction that happened after the launch of the game. So I wasn’t going to miss this chance. Why should I, the reader, care? 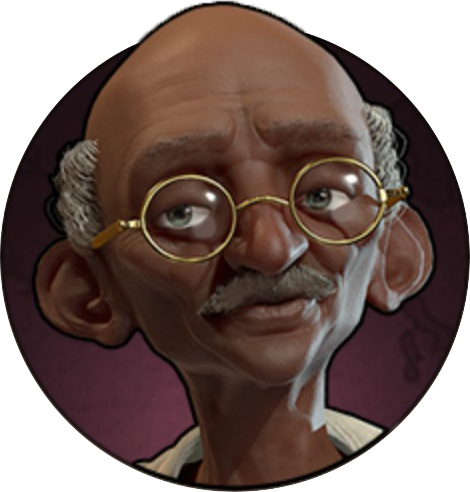 : Because it’s great fun to take unintended bugs and troll others with it. If you heard about the corrupted blood event in WoW that’s a great example of potential fun to be had with unintentional bugs.